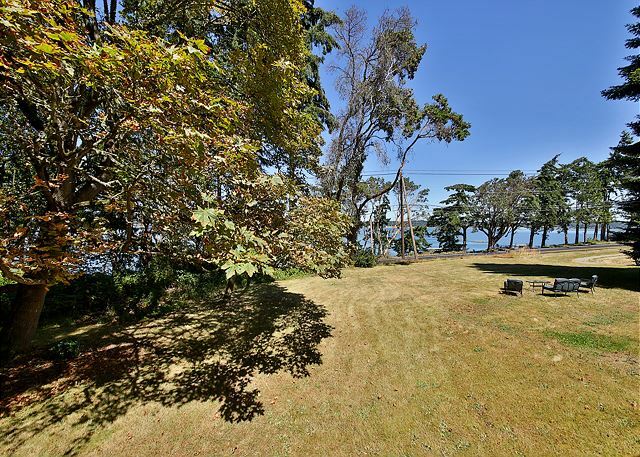 Cozy cottage in Ebey historic area, with water and Mt Baker views, overlooking enchanting Penn Cove, minutes from downtown Coupeville. 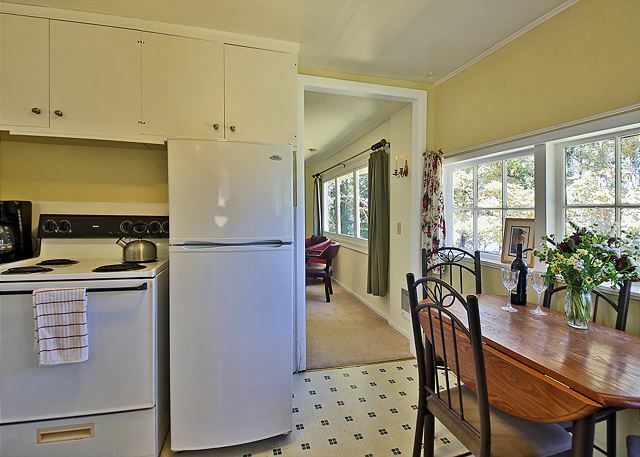 1950's cute 2 bedroom with one full bath accessed through one of the bedrooms. 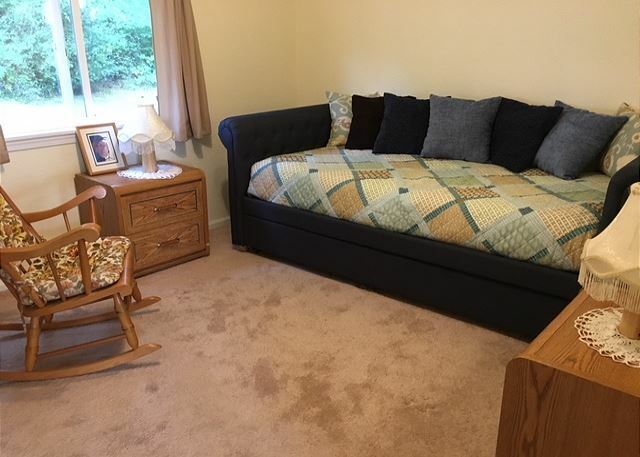 Sleeps 4 in one queen bed and one day bed with a second single trundle underneath. 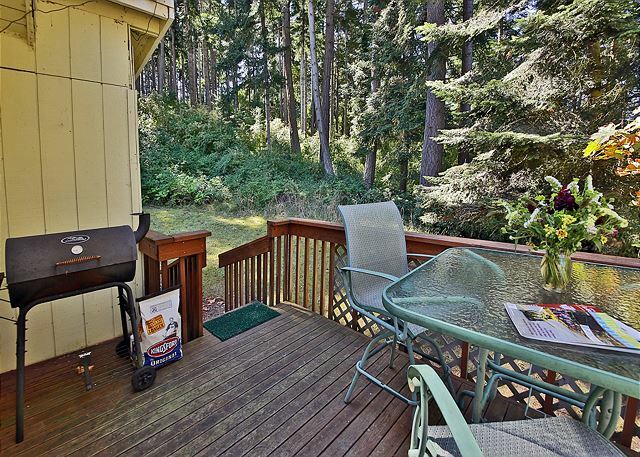 Deck for grilling and outdoor dining. 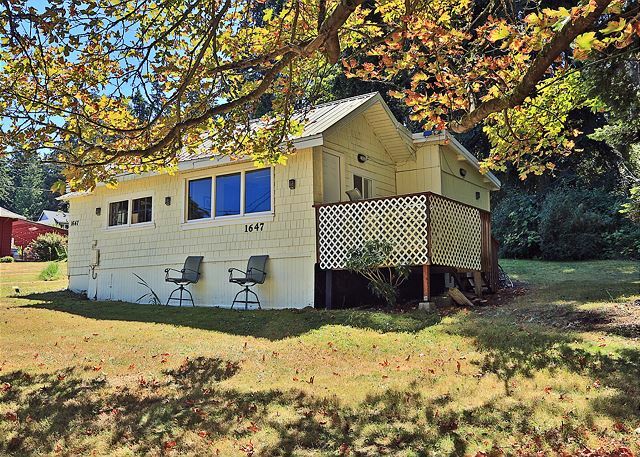 The cottage is on a large tract of forested land. There are many hiking paths and beaches to explore in the area. 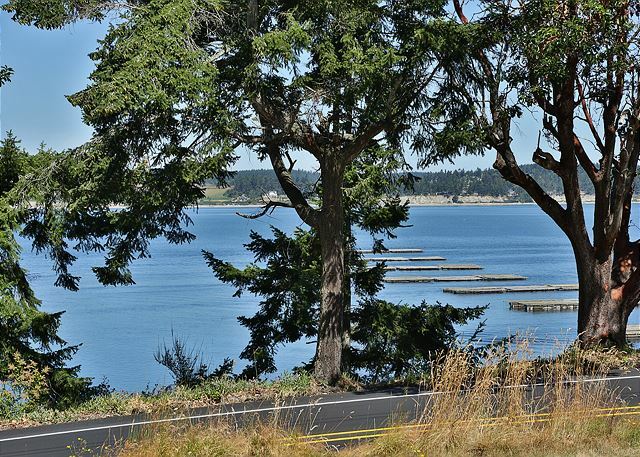 You have a front row seat to the world-famous Penn Cove Mussel Farm rafts and Cascade Mountains. 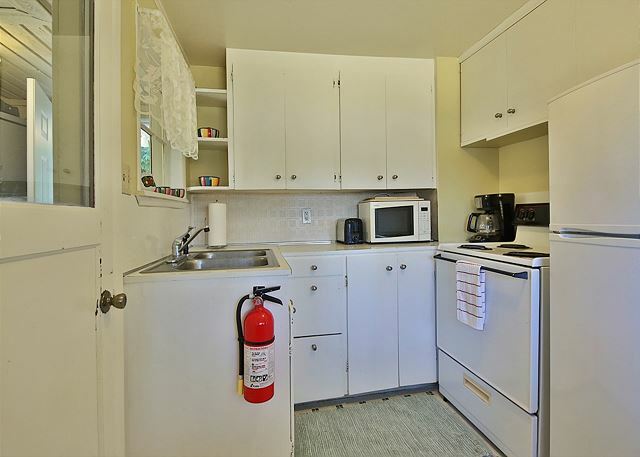 Includes full kitchen with eat in table, appliances, coffee maker and everything you need for a weekend getaway. Great for a couple's weekend or a small family. Walk 1 mile into town along a new dedicated path for ice cream and treats. 4 NIGHT MINIMUM JULY AND AUGUST. Thank you for your comments. We are so happy you had an enjoyable anniversary Trip. We hope we can help you with your next stay on the Island. This little house is exactly as described. Can even walk to coupeville. Yes it's old fashioned but everything works and all is comfortable. We enjoyed the gas fireplace and lovely view. Just a little note to cleaners to change the shower curtain. Sorry about that. Thank you for your comment. We are happy you enjoyed your stay on Whidbey Island, please let us know how we can assist you with your next stay on the Island. Thank you for your review. Nice to hear you had a great time exploring Whidbey Island with your granddaughters. We had a great time. The cottage is great for a weekend getaway. We caught up with some friends who live in Duval and had a fun time. We all made dinner on Friday and Sat night and the little kitchen worked fine. The view is great and so is the fire. The location is excellent for site seeing on the Island. The only drawback for 4 people is that the bathroom is off of one bedroom. This is not a big problem for family or friends but could be a bit awkward. Thank you for your review. We're glad to hear you had a great time with with old friends. There are many things to see and explore on Whidbey Island so its great to hear to got to take advantage of that. 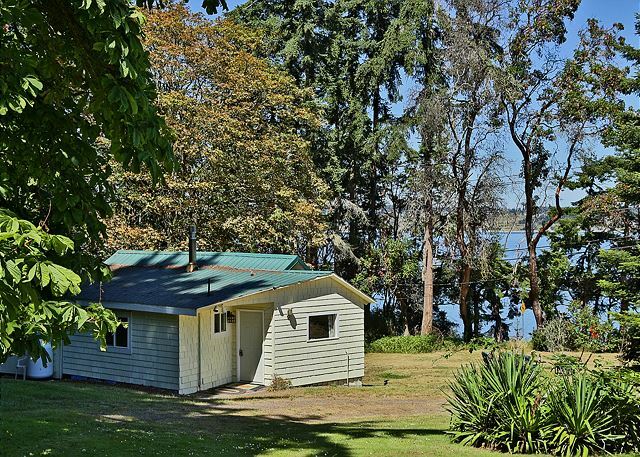 Lovely cabin with water view about 1 mile from downtown Coupeville. 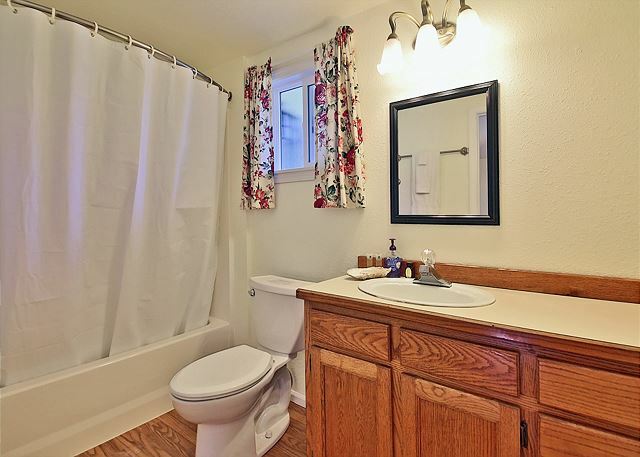 Bathroom remodeled - fresh and clean. Propane stove in LR not working but they alerted us in advance. Lights in bathroom didn’t come on. They sent a repair person within a couple hours. Problem was a simple, but nearly invisible, reset button on the outlet. Cabin is good for parents with kids. You must go through one bedroom to reach the bathroom. Beds very comfortable. Had a nice get away. Thank you for your comments. We are happy you "had a nice get away". We hope to help with your next stay on the Island. Great little cottage in a beautiful setting. 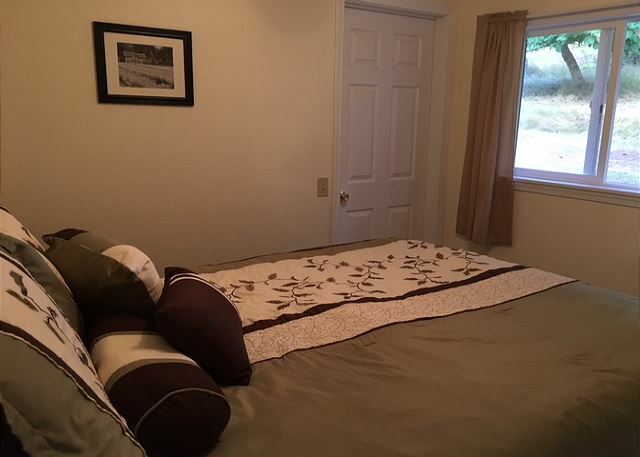 Close to Coupeville and oak Harbor.This place has all you need to stay in and enjoy the area. Thank you for you comments. 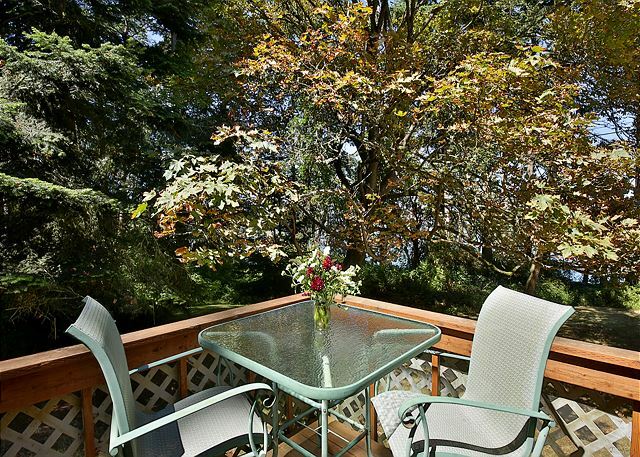 We are happy you had an enjoyable stay on Whidbey Island. We hope to help you with your next stay on the Island. Thank you for your comments, We are happy you "enjoyed" your stay and had "everything you needed to make your stay comfortable"! We hope we can help you with your next stay on Whdibey Island. Cute cottage in a great location. It's approximately 1 mile away from all the shops and restaurants. You can walk to them if you want to. Beautiful view in the front of cottage. Thank you for your comments. We are so happy you enjoyed this cabin so much, it does have a great location. 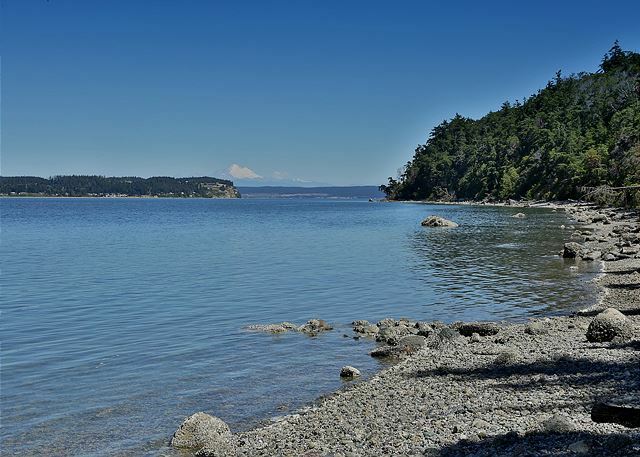 Please let us help you with your next stay on the Whidbey Island. 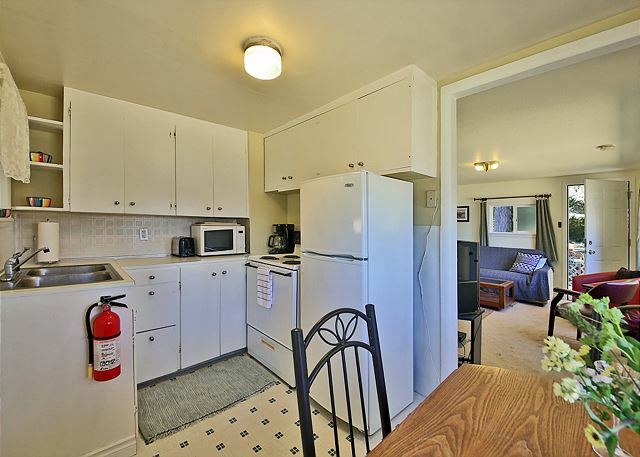 Nice location, just a 15 minute walk to town. Quiet, though a busy road is right in front. Everything you need. One bathroom, and must walk through bedroom to get to it..... other than than, it's fine. Thank you for your comments. We are happy that you found yous stay was "fine", we hope we can help you with future vacations on Whidbey island. The cottage was lovely. Bright and clean. Beautiful views and lovely sunsets. One complaint i have with many homeaway rentals is that there is rarely attention paid to quality cookware. Some people on vacation actually do cook and investing in decent pots and pans is worthwhile in my opinion, especially having TOPS to pots and pans. Other than that we had a great time, our 2 yr old loved it. Deer and rabbits in yard daily. Lots of food supplies left in cabin came in VERY handy. Thank you for your comments. We are happy you and your "2 yr old loved' your stay. We hope to help you with your next stay on Whidbey Island. House was cozy. Had hair from previous visitor in sink and tub. Bathroom is in one of the bedrooms which could have disrupted if not close friends. Had great time. Thank you for your comments. We are happy you had a "great time". We have address your concern with our staff and appreciate your feedback. 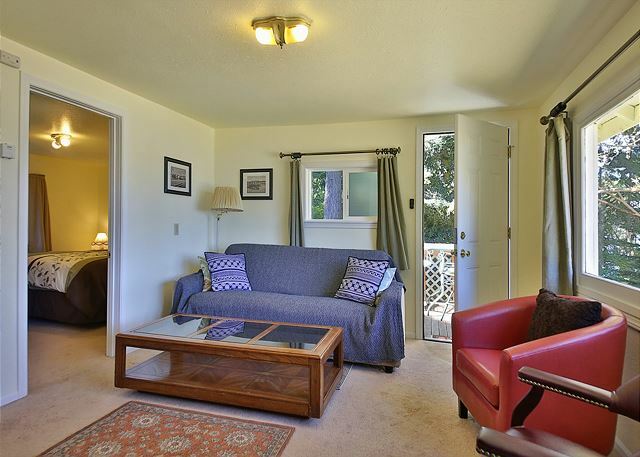 We hope to help you with your next stay on Whidbey Island. Such a wonderful experience. 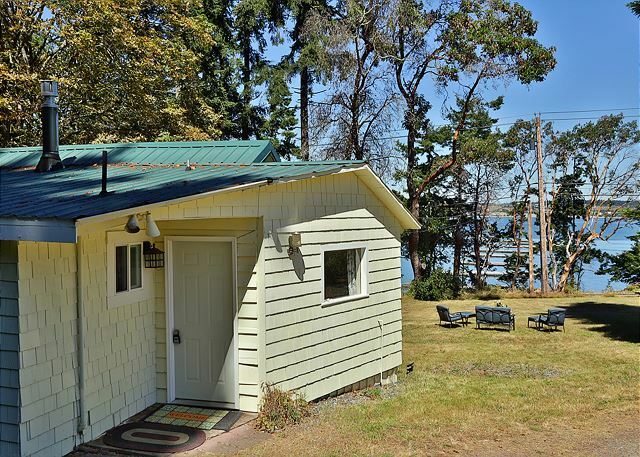 I recommend this cottage to anyone who like to be in the cute town of Coupeville with a water view. It's just big enough for two couples or two people for a getaway. There were bunnies and deer in the yard. A great little back porch that is shaded and a BBQ. It's so close to town that you could walk if you wanted to. 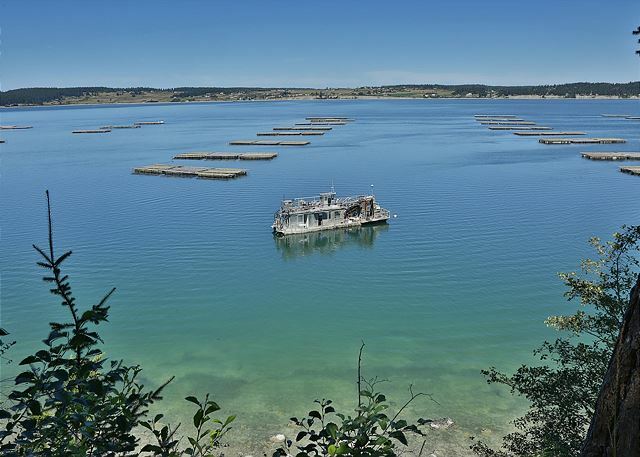 The view is of the Penn Cove Mussel Farm. We would sit and watch them harvest muscles. Even the rainy days were fantastic. I recommend bringing games because there was none in the cottage. And I highly recommend the pizza place called ciao and the oyster catcher restaurant. Thank you for your review and feedback. We look forward in helping with your next trip to Whidbey Island. Enjoyed the cabin very much. One point: the only bathroom is in one of the bedrooms, so if you have more than two people staying there, there are some issues. But a nice walk to town, a great view, and a great "vacation" feel to the property! Thank you for your review and feedback. 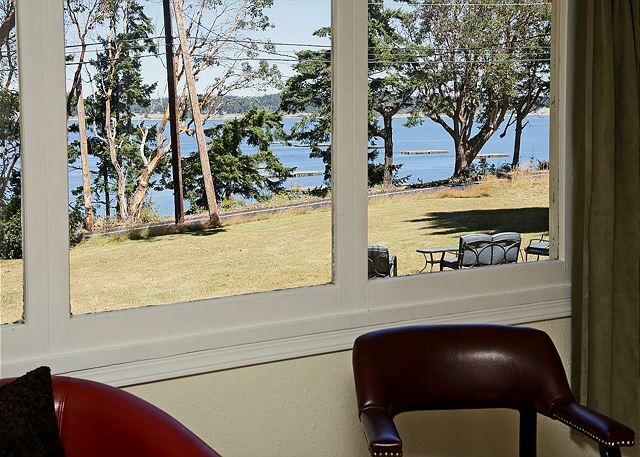 We look forward in helping you with your future stays on Whidbey Island. So glad the place worked for you! Thanks for your review! A rustic and comfortable place...our only problem was with the TV. One wire had been disconnected, easily fixed, and the little remote could not be found for a while. (There are 2 other remotes, one which has the on/off switch and another of no clear organization of that could be improved. So sorry for your difficulties with the TV. We'll see what we can do about making the remotes more user friendly. We're glad you enjoyed your stay! Thanks for your review! Spent two nights at the cottage. Nice quaint and cozy place. 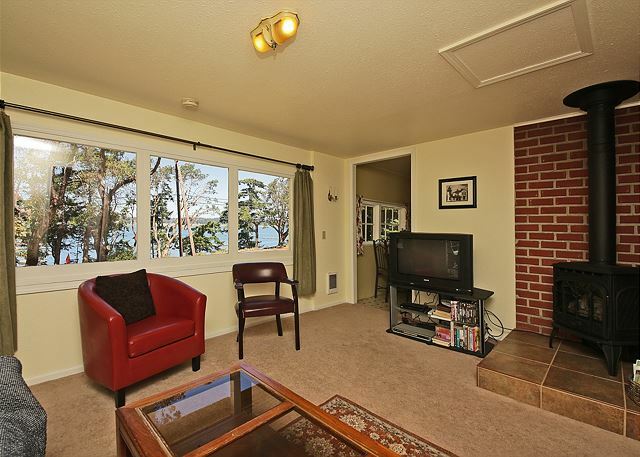 Beautiful location with great views of bay. If entering Coupeville from north by way of highway 20, the city to pick up welcome packet is inconveniently Located, recommend leaving packet at rental location property to be signed. Glad you enjoyed the home and the views. We are happy to have guests bring their rental agreements to our office and to collect their check-in packets there, but the majority of our guests submit the agreement and receive their check-in packet electronically. This saves them a trip to our office. Thank you for your review! We flew in Christmas Day for a surprise visit, this wonderful little cottage made our stay warm and comfortable. This place is charming,clean, has a good view. Even our twelve year old enjoyed the stay. 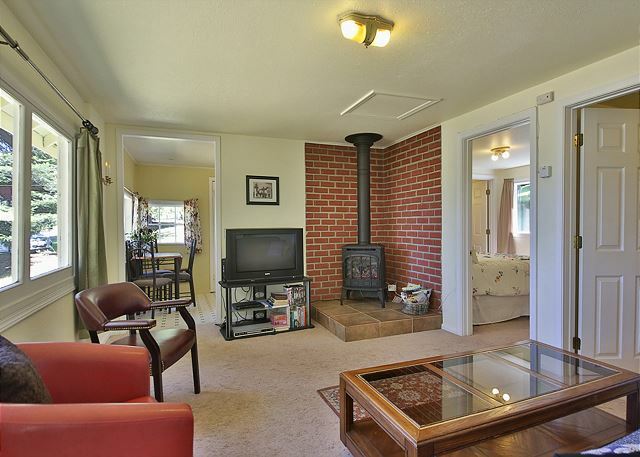 I would recommend this cottage to anyone wishing to stay in Coupeville. We're glad you enjoyed your holiday here on Whidbey Island and had some good family time. Thanks for your review. The home is very cozy but it is also very old. The foundation is caving down in kitchen corner. The raccoons will get into ur trash and leave it everywhere. I only recommend the stay for a few days. Not longer than a week. 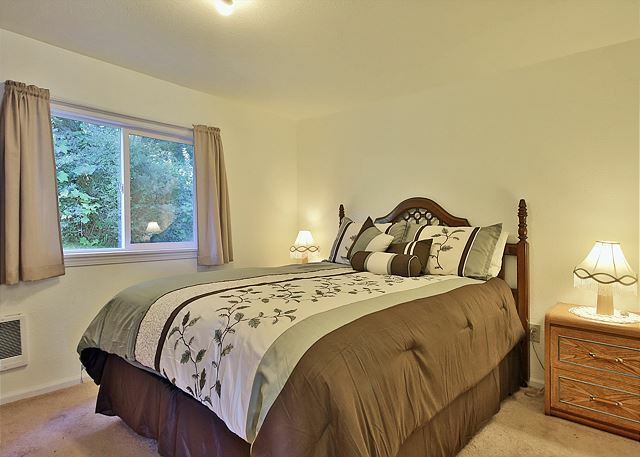 Home does have everything you need for a comfortable stay. Because of ferry cancellation we weren't able to get there on the check in date. They were willing to let us wait a few days and try again. We were able to get there then. Of course if it had been booked we wouldn't be able to do that and they assured us if that was the case we would receive all our money back. So that was cool! The trip was definitely worth postponing,as my 9 year old grandson was on his first hunt with grandpa and great grandpa and was so excited! our deer hunt was a success, and we are scheduled to stay there again in a few weeks for the late hunt! We are so glad you enjoyed your stay on Whidbey Island. Family time is always fun and especially for 3 generations. We as a vacation rental team are always ready to help our guests in any way we can to help make a happy experience. thanks for your review. Have stayed there before. Like it very much. Just right for two people. Some minor problems staying there. Didn't have something to light the bar b que. Not enough garbage bags. Toilet paper hard to find. And a terrible choice of channels on the TV. Should be able to watch ESPN. 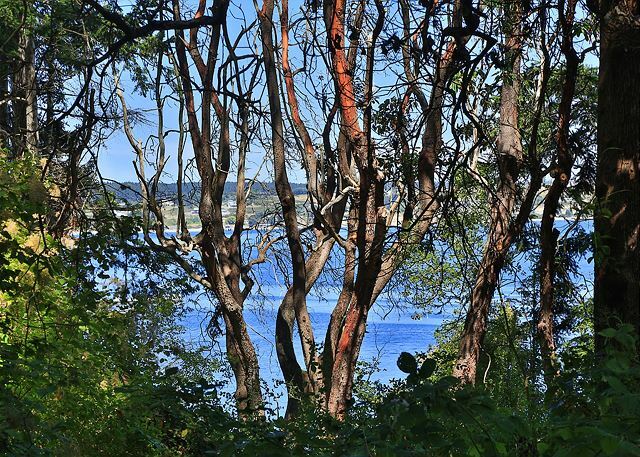 So happy to hear you loved Whidbey Island on a previous visit and wanted to return. We are sorry you had a hard time finding the lighter in the kitchen for the BBQ and the T.P. It is kept in a toilet paper holder next to the toilet. Again we are so happy you enjoyed your stay! 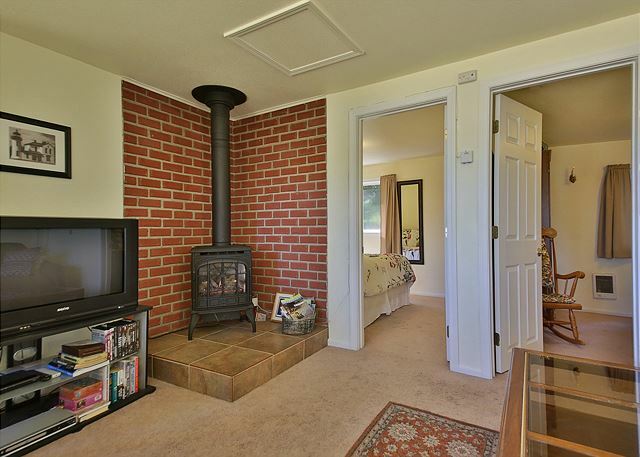 THe property was in a great location for us and worked out very well. IT is an older building but quite well maintained and the view was fantastic. MAnagement made our stay comfortable with the amenities they provided. WOuld recommend their services again. Glad to hear you had a great time on Whidbey Island. Thanks for your review. Thank you for your review. 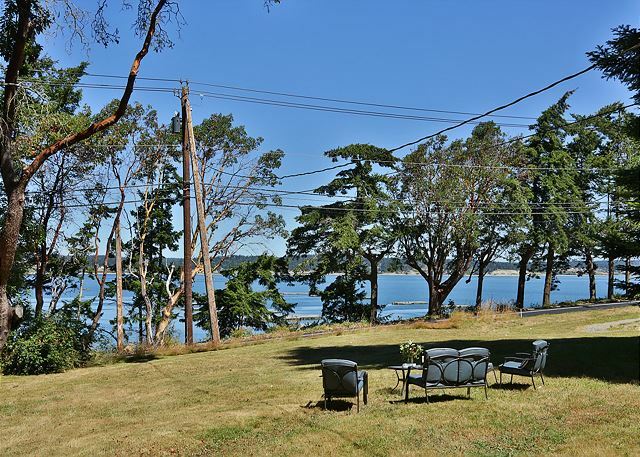 It's nice to hear you were able to relax and enjoy Whidbey Island. House was clean and comfortable. I do think that the outside could have been cleaned up from cob webs and leaves but over all the price was right, we enjoyed the place and would definitely rent the house again. Thank you for your review. We're glad you enjoyed the home and we'll have the cob webs taken care of. 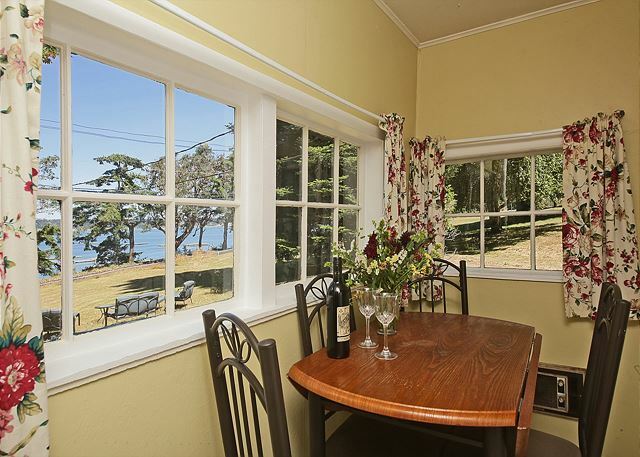 Happy to hear you enjoyed your stay on Whidbey Island.